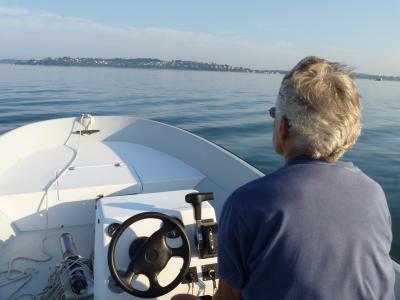 Charles Hopkinson out taking dissolved O2 measurements. An estuary is a habitat formed where a freshwater river or stream meets a saltwater ocean. Many estuaries can be found along the Atlantic coast of North America. Reeds and grasses are the dominant type of plant in estuaries because they are able to tolerate and grow in the salty water. Where these reeds and grasses grow they form a special habitat called a salt marsh. 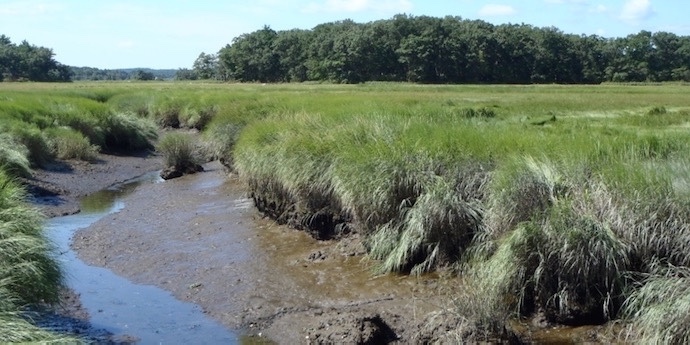 Salt marshes are important because they filter polluted water and buffer the land from storms. Salt marshes are the habitat for many different kinds of plants, fish, shellfish, and birds. 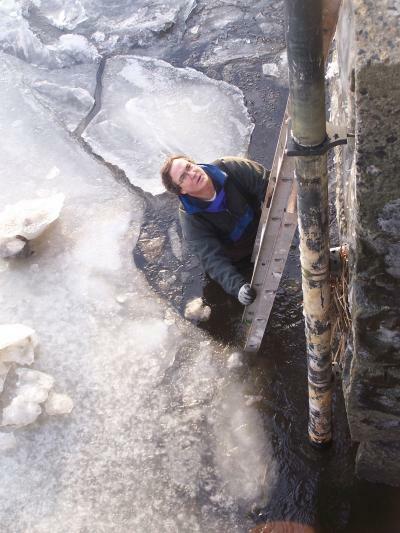 Hap Garritt removing an oxygen logger from Middle Road Bridge in winter. Scientists are worried because some salt marshes are in trouble! Runoff from rain washes nutrients, usually from lawn fertilizers and agriculture, from land and carries them to estuaries. 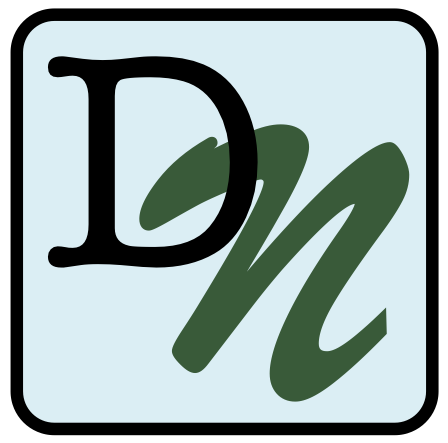 When excess nutrients, such as nitrogen or phosphorus, enter an ecosystem the natural balance is disrupted. The ecosystem becomes more productive, called eutrophication. Eutrophication can cause major problems for estuaries and other habitats. With more nutrients in the ecosystem, the growth of plants and algae explodes. During the day, algae photosynthesize and release O2 as a byproduct. However, excess nutrients cause these same algae grow densely near the surface of the water, decreasing the light available to plants growing below the water on the soil surface. Without light, the plants die and are broken down by decomposers. Decomposers, such as bacteria, use a lot of O2 because they respire as they break down plant material. Because there is so much dead plant material for decomposers, they use up most of the O2 dissolved in the water. Eventually there is not enough O2 for aquatic animals, such as fish and shellfish, and they begin to die-off as well. Two features can be used to identify whether eutrophication is occurring. The first feature is low levels of dissolved O2 in the water. The second feature is when there are large changes in the amount of dissolved O2 from dawn to dusk. Remember, during the day when it’s sunny, photosynthesis converts CO2, water, and light into glucose and O2. Decomposition reverses the process, using glucose and O2 and producing CO2 and water. This means that when the sun is down at night, O2 is not being added to the water from photosynthesis. However, O2 is still being used for decomposition and respiration by animals and plants at night. The scientists focused on two locations in the Plum Island Estuary and measured dissolved O2 levels, or the amount of O2 in the water. They looked at how the levels of O2 changed throughout the day and night. They predicted that the upper part of the estuary would show the two features of eutrophication because it is located near an urban area. They also predicted the lower part of the estuary would not be affected by eutrophication because it was farther from urban areas.